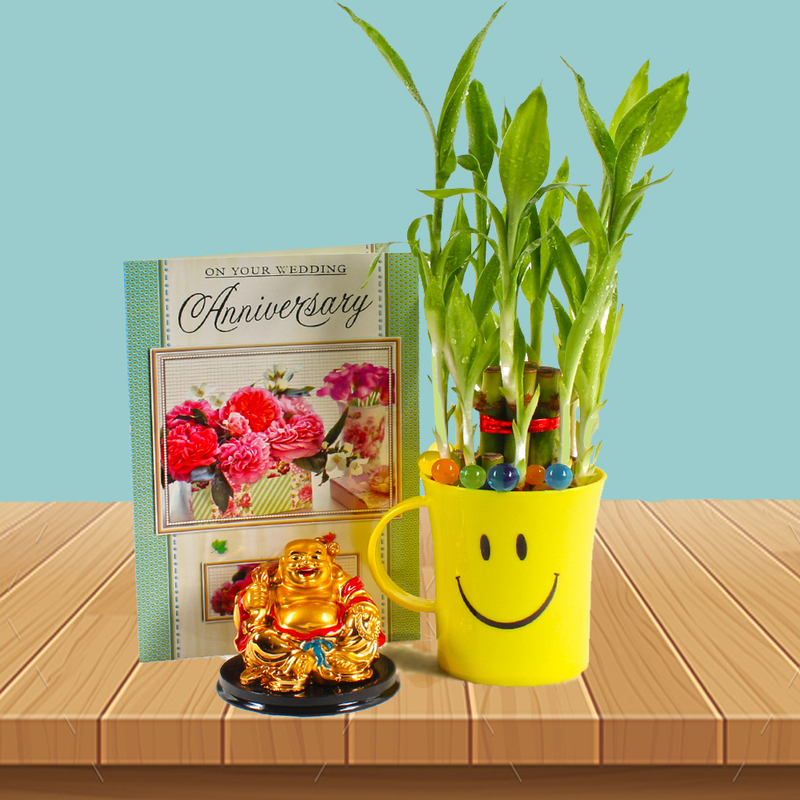 Product Consists : Laughing Buddha, Anniversary Greeting Card along with 2 Layer Good Luck Bamboo Plant in a Smiley Mug. Wish a couple lifetime of love, joy and togetherness on their Anniversary as you surprise them with this beautiful greeting card. Best way to express your emotion by sending a greeting card, Everyone loves to receive a card, either through the post or by hand. In this crazy fast, faster, fastest instant world that we all live its worth reflecting that the greeting card is still considered by most as the truly effective way of telling someone you really love and care. Also we have clubbed this combo with Laughing Buddha and Good luck Plant. One of the strongest fengshui element, they are symbol of good luck and fortune. According to Feng Shui masters, wherever bamboo is placed, good fortune is sure to follow. Its a traditional symbol of happiness, wealth and health. Keeping lucky bamboo inside houses and business places is believed to bring happiness and prosperity. Appealing, elegant and easy to grow, this two layered lucky bamboo plant is a perfect gift for your home and office as well. Even a poorly kept lucky bamboo plant will live for a long time. Our specially plants are not only elegant, they also come in beautiful Smiley Mug designed which is very attractive increasing the intrinsic appeal. 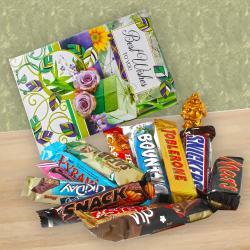 Toblerone chocolate which are really tasty and tempting to say the least. Laughing Buddha to call in positive energy in your life and good luck , fortune etc. The symbol of power , money and happiness. Grab this laughing Buddha showpiece and make your home beautiful as your life. Beautified with a lovely message, this Birthday card is sure to be an ideal way of telling your beloved how lucky you feel to have them in your life. 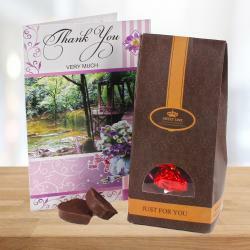 Product Includes : Laughing Buddha, Anniversary Greeting Card along with 2 Layer Good Luck Bamboo Plant in a Smiley Mug.